We invite you to take a look at how we are helping people get, stay, and live well in the examples of our work below. You will see how we are advancing our three strategic growth drivers of creating a Well Experience, transforming the role of community pharmacy, and establish an efficient global platform. Walgreens Well Experience store format offers a new, enhanced layout, completely revamped pharmacy and health care experience and a number of new product selections. 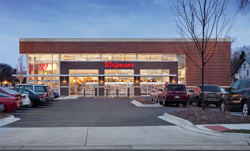 Walgreens first ever Net Zero store located in Evanston has been targeted as a "flagship" store of all our green technologies – and then some. 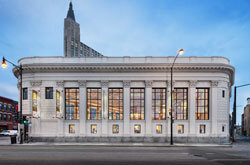 Walgreen's State & Randolph location is an expansive two-story, state-of-the-art building that brings a one-of-a-kind drugstore experience to the heart of Chicago’s historic State Street shopping district. Walgreens Philly store is a 3 Level store located down the block from city hall, in an old Wannamaker’s old department store. 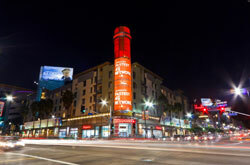 Located in Los Angeles, at the iconic corner of Sunset and Vine, Walgreens 8,000th store reflects the character of Hollywood. 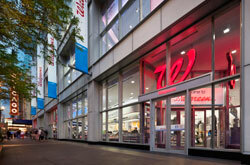 This location is Walgreen's first flagship store on the West Coast. This one-of-a-kind location preserves the historic building’s stunning and original architectural integrity. Walgreens Infusion and Respiratory Services (WIRS) are typically called closed-door pharmacies and are not in retail settings. Take a tour of Walgreens Center for Technology and Innovation, designed by Solomon Cordwell Buenz. Copyright © 2018 Walgreen Co.